This weather-resistant fog generator system is designed for interior or exterior wall-mounted, permanent installations to give more unobstructed space and flexibility to training environments in firefighting facilities. Large volumes of pure white fog: 300 m3 (10,000 ft3) per minute. Suitable for outdoor or indoor use. 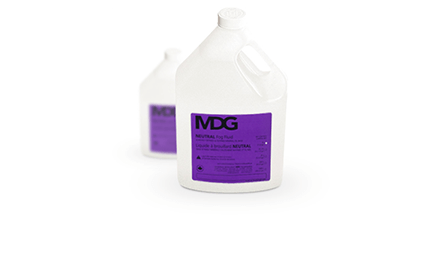 Available in 6.5 L (1.7 US gallon) and 25 L (6.6 US gallon) containers. This system purges the heating modules after the first heating cycle and after every emission of fog preventing residual build up and clogging. High-quality, consistent fog produced as long as there is fluid and gas. For incorporation into user internal operating system.